Ray is orginally from the San Francisco area, and grew up in East Bay. While music was a persistent influence in his early years, he "didn't begin seriously studying guitar until his last year in high school." Ray became "focused on mastering his instrument and learning the craft of songwriting throughout the 70's and 80's" and people began taking note. He began "performing with many of the jazz community's most celebrated stars including legendary jazz organist Johnny "Hammond" Smith, trombonist Julian Priester, Azteca featuring Pete & Sheila Escovedo, Fourplays' Harvey Mason. A world tour in 1978-79 with jazz superstar Herbie Hancock is still one of Ray's most treasured musical memories." As a bandleader, he "lead such popular local bands as the fusion ensemble Kick (featuring a very young Sheila E. on drums and long-time Sonny Rollins pianist Mark Soskin) and the funk-rock group Rhythmus 21 which showcased many of the Bay Area's leading singers." 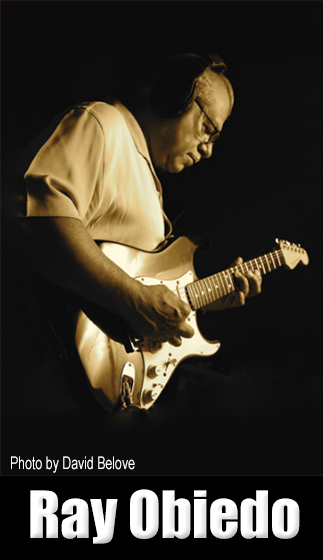 "As a session player, Ray's guitar work has been nicely presented on albums by artists as diverse as Lou Rawls, George Duke, Brenda Russell, Herbie Hancock, Sheila E & the E Train, Freda Payne, The Whispers, The Delfonics as well as solo albums by jazz trumpeter Eddie Henderson, former Yellowjackets' saxophonist Marc Russo and Meters drummer Zigaboo Modeliste. It was also Obiedo's memorable guitar solo that so sweetly highlighted sax star Grover Washington Jr's last hit cover of the classic single 'Soulful Strut'." "Ray has contributed source music to major motion pictures "Internal Affairs" starring Richard Gere and "A Shock to the System" starring Michael Caine. Ray also collaborated with singer/songwriter Teresa Trull for the soundtrack to Nicloe Conn's "Claire of the Moon"." He has written songs for The Whispers, Tower of Power, Andy Narell, Sheila E, Pete Escovedo Orquestra, Marion Meadows, Linda Tillery, guitarist Bruce Forman, master funk drummer David Garibaldi and percussionist Bill Summers. As a music producer/engineer, he has produced his own album projects and has produced and or engineered a variety of major and independently released CD's. 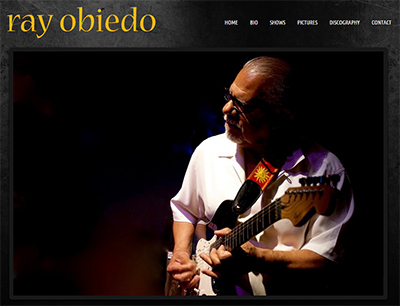 "Obiedo co-produced guitarist Joyce Cooling's 1997's highly successful release "Playing it Cool" for Heads Up Records, keyboardist Tom Grant's "Tune It In" for Windhill Jazz Records and saxophonist Marion Meadows' "Next To You". His most recent co-production and engineering credit includeds Amikaeyla's "Being in Love" featuring bass superstar Esperanza Spalding." 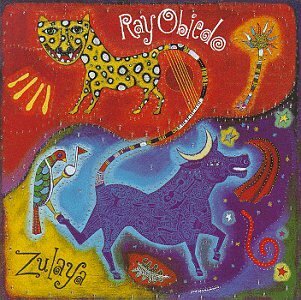 Ray launched his solo recording career on the Windham Hill Jazz label, recording and releasing five contemporary jazz albums; "Perfect Crime" (1990), "Iguana" (1991), "Sticks & Stones" (1993), "Zulaya" (1995) and "Sweet Summer Days" (1997). "Sticks & Stones" "peaked at No. 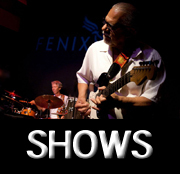 7 on Billboard's contemporary jazz chart and remained in the top 25 for more than 10 weeks." 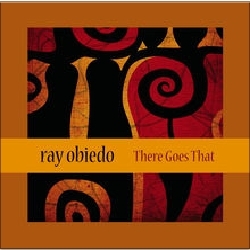 In 2015, Ray released "There Goes That" with an all-star group of Jazz musicians backing him up, "including Miles Davis alumni Kenny Garrett, percussionist Sheila E, steel pan master Andy Narell and current Santana members percussionist Karl Perazzo and keyboardist David K Mathews." 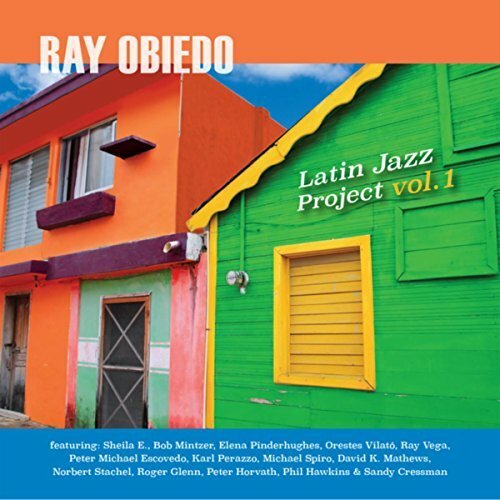 In 2016, Ray's latest release, "Latin Jazz Project Vol. 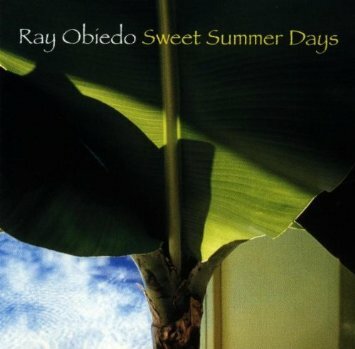 1" on Rhythmus Records is his eighth album, and "is a collection of Latin Jazz standards, including three of Obiedo's original compositions. Obiedo enlisted some of the music industries top musicians and longtime co-horts for the project" (see press release under "CD Release," below). "Out of all the expressive instruments, the guitar's range and mobility seems to make it the one most suited for a performer with a big ego. 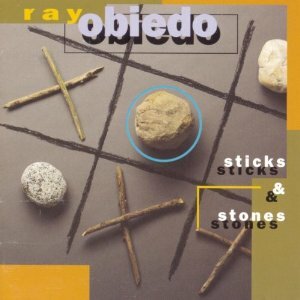 But Ray Obiedo's success as a worldbeat pop-fusion guitarist may be due to the way he shuns that idea. He's never been one to dominate his own compositions, and this allows for the fascinating textures and exotic timbres his vision reaches. "